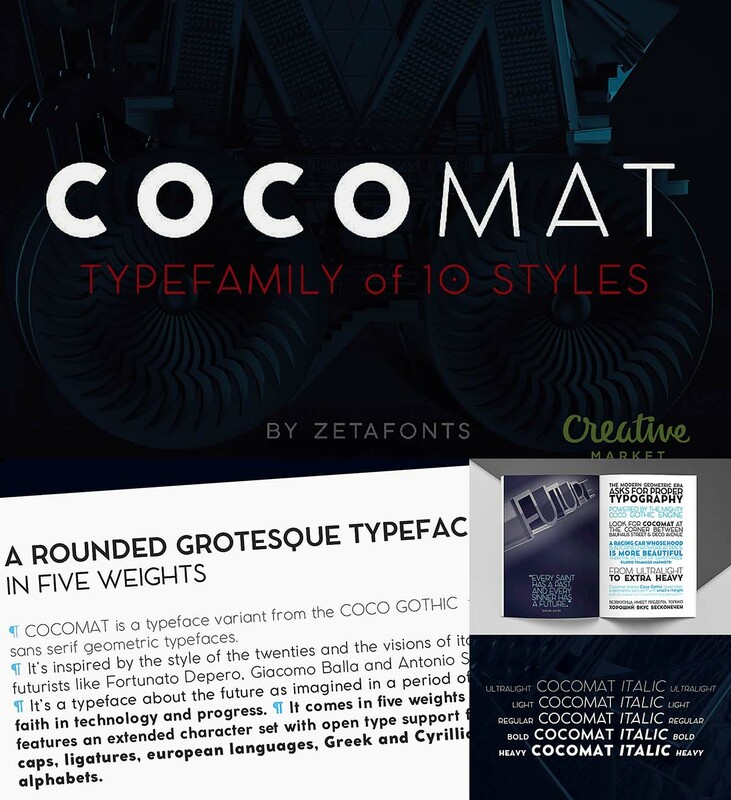 Cocomat is a typeface variant from the Coco Gothic family of sans serif geometric typefaces. It’s a typeface about the future as imagined in a period of great faith in technology and progress. It comes in ten weights and features an extended character set with open type support for small caps, ligatures, European languages, Greek and Cyrillic alphabets. 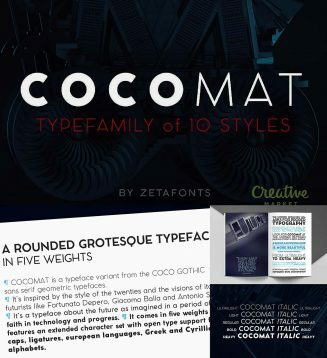 Tags: branding, coco, contemporary, corporate, decorative, font family, Gothic, grotesque, light, thin, web font.